The first gameplay for Darksiders 3 has been revealed! Check out the video from IGN below..
Man, it's so good to see some Darksiders gameplay again after all these years! The hack-n-slash combat style, the environments and even a lot of the enemies are so familiar, it's just surreal to see another Horseman in action. 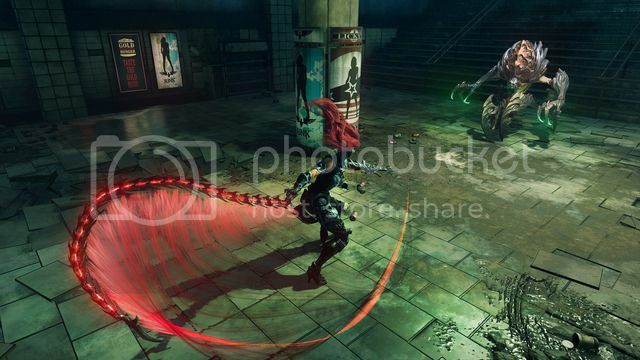 Looks like Fury's main weapon will be the whip but if it follows the other games, she will have several other weapons and gadgets including some from the other Horsemen. It's been so long since I have played a hack-n-slash game in fact. 2018 can't come soon enough but this makes me so happy! Far Cry 5 Announced and Early Details! Red Dead Redemption 2 Delayed!